Lord Buddha educational Academy Ltd (LBEA) came to existence with the objective of developing the nation by providing excellence in medical sector. Soon a group of renowned enterprenures and medical professionals, educationalist and sociallrecognised peoples joined hands to fulfill the social obligation, as a result "nepalgunj medical College" was established. 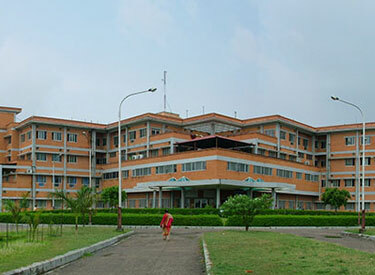 The college started the MBBS course in 1997, Nursing program in 2000, and Post graduate in 2007. Nepalgunj Medical college (NGMC) proves to the recommendation of Nepal Medical council, Medical Council of India, Srilanka and Medical Councils of SAARC and ohter countries. it follows the curriculum prescribed by Kathmandu University. The colleges has its own two well equipped teaching hospitals in two main cities of bankedistrict, 830 bedded Teaching hospitals at Kohalpur and 220 bedded hospitals at Nepalgunj. "Excellence in Medical Education" is the motto of NGMC . The college has sufficient human resources and facilities of most sophisticated equipment, and a galaxy of well qualified and prefossionals in every department. Seminars, conferences and guest lectures by eminent professionals in the field of medical science from aboard are additional charm of the college. Nepalgunj Medical College is successsful in providing excellence medical services, producing competative and responsible medical professional to serve the nation.